Rising damp (or salt damp) is not the most common form of dampness encountered in buildings; this is left to condensation. However a high proportion of older buildings are affected by rising damp to some degree or another. 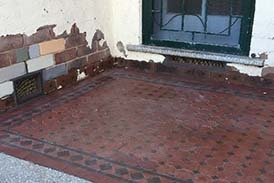 In general, walls prior to the 1970s did not have damp courses or inferior ones, which allowed the damp to rise in capillary action. Rising damp can be more serious than just causing aesthetic damage, structural damage to the base of the wall can also occur. Condensation is by far the most common cause of dampness in buildings, probably accounting for the majority of damp problems reported. It affects both old and new buildings, and can be a significant problem where the building has been modernised. Although it's the most common cause of damp it's not the only cause you may have rising damp. 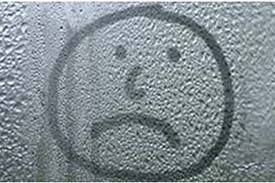 Condensation is directly associated with mould growth which is associated with many health problems. The modern vents Anti-Damp uses for under floor ventilation provide 8 times more air flow than the old fashion terracotta type vents. They come in 4 different sizes and 4 different colours. Warm air can hold more water as vapour than cool air. One should also be aware that the problem can occur well away from the site of most water vapour production. E.g. water vapour produced in the kitchen may diffuse through the house into a cold bedroom where it will condense on cold walls. A specific home inspection is for people who are thinking of buying a new property and require a pre-purchase verbal inspection by someone with 30 years experience in the building trade.We can point out the good and bad points of the building very quickly while you are inspecting and before you commit to buy.Your home is a long term investment and good practical down to earth advice is essential, so $150 this verbal report is great value. Condensation is directly associated with mould growth which causes many health problems. The Dry Home DH24 dehumidifier was voted as being the no. 1 recommended dehumidifier. Anti Damp was formed more than 25 years ago and even our newest employees have over 5 years experience in the industry. We are one of the few companies who offer both physical and the chemical pressure injected damp proofing methods. We believe the chemical pressure injection method, which has been perfected over many years, is far superior to any other type of damp proofing solution. There are many advantages of this solution the most important one being no large-scale disturbance of the structural integrity of the building. The damp / water proofing fluid that we use is of the highest quality available, it is also odourless and safe to use. Although we advise the use of chemical pressure injected damp proofing should the customer prefer information on or to use the more traditional physical damp course proofing, we can do that as well. Some companies still insist on using the physical damp course method which I believe is more often than not for profit reasons i.e. less materials and a higher cost per lineal metre means a higher profit for some. We prefer to give value. Normally we do not offer any plastering or rendering repairs as part of the job, however as well as specialising in damp proofing I am also a licensed Plasterer and therefore qualified to give advice in this area. We are always happy to advise and make recommendation but as a minimum we advise the customer that a suitable salt retardant should be used in the plaster mix. Another major trading area of Anti-Damp is under floor and wall ventilation systems. We believe that with proper ventilation many damp situations can be alleviated before they cause major problems. There are several methods of ventilating a building and we design the ventilation system to suit the building in question. In general however we find that the most efficient system is the wind powered turbo, this method is powered by wind as the name suggests. It is silent Running, trouble free, and will lasts for years. It forces the existing vents in the building to work harder and reduce musty smells in the under floor area. We have other systems as well which include brass wire ventilators and 12V fans. As you can see we do a wide range of work which means that we are not restricted in our view of how to solve a problem. Our company motto is “don't fix something that isn't broken” and we believe we get more business this way and the customer is always happy. Thank-you for visiting our web-site and I hope to hear from you so that we can be of further service.